Sharing the same principles as Foot Reflexology, Face Reflexology works to identify the root cause through your current symptoms and then treats it with a proper plan. Using hands and fingers, facial muscles and nerve endings are stimulated and re-invigorated, opening up the energy (Chinese Meridian) channels throughout the body. The Face Reflexology Sorensensistem™ is the basis of my practice which combines the wisdom of both Eastern and Western philosophies. 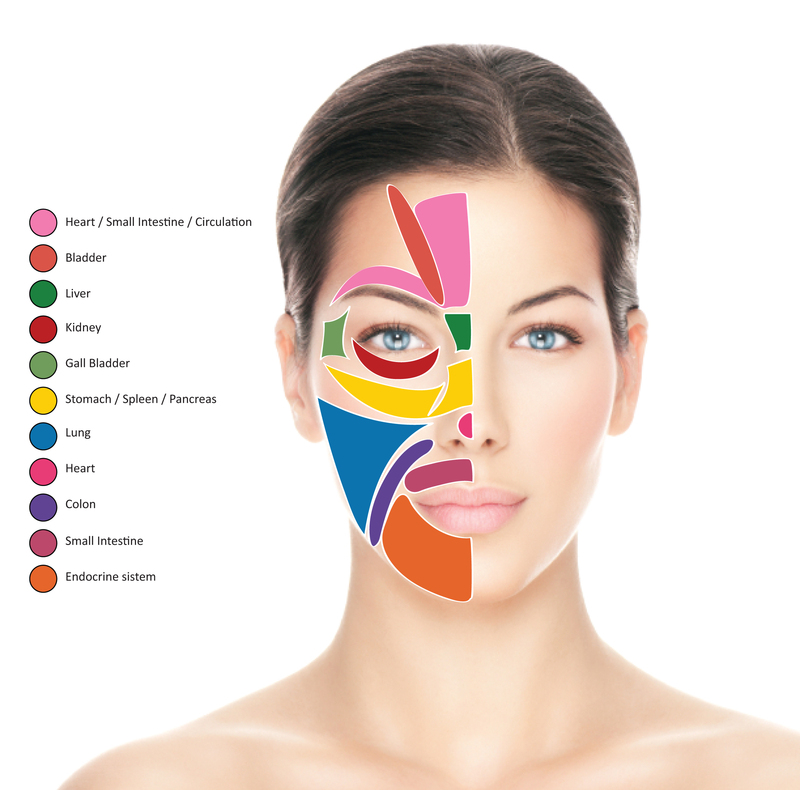 This unique type of Reflexology practice teaches practitioners how the face maps out the entire body – with different zones of the face connecting directly to the major vital organs. How Does Face Reflexology Work? Through firm touch and muscle manipulation to the face, Face Reflex techniques restore the energy, sending balance to blocked areas that it needs the most. Facial stimulation is powerful because it has the shortest pathways for the nerve cells connect to the brain stem and it releases chemicals called endorphins. Endorphins ensure your mind is in a stable happy place. The Sorensensistem™ Face Reflexology works to send a message to the Central Nervous System (CNS) to direct the energy to specific organs and glands to regulate your blood, hormones, and most importantly, boost your immune system. It is also an essential workout for the face to get a younger and healthier look. “The Face Reflexology is the best sleeping medicine” said L Pateropoulos, a Toronto businessman. Face Reflexology Sorensensistem™ (www.reflexologiafacial.es) has been developed over the past thirty years by the Danish Reflexologist Lone Sorensen. Her systems have been recognized worldwide and her Temprana Reflex Therapy (www.temprana.org) which incorporates her unique Facial Reflexology techniques with Foot and Hand Reflexology, was approved in 2000 for use at the Centre “Kurhuset” in Denmark for patients with brain damage. While you are soaking up the sun, do exfoliate, so your skin can get more of an even tan. If you have issues, consult with PeiPei 647.296.8839 located downtown Toronto. website designed and hosted by madfatter inc.